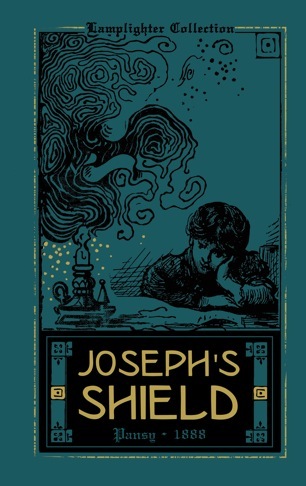 Joseph's Shield is among our top five stories that will have the greatest eternal influence upon the hearts, minds, and souls of children. It will not take long before you fall in love with Joseph, especially his humorous approach to avoiding the Bible's influence upon his life--an influence that is quite unavoidable. Parents will be greatly satisfied knowing that they possess a tool that can so handily help teach children how to apply the Word of God in ordinary, everyday circumstances. You are about to experience a story that takes children to the next level in their journey with the Lord, their fight against sin and their cultivation of character. From SCM of Lafayette, Indiana on 2/14/2019 . I got to know Lamplighter books from a friend. I love all the wonderful books Lamplighter has to offer. It is pricey but buying damaged books has been a good way for us to obtain such valuable works. There is no damage I have found. This is the first Lamplighter book I read to my kids and we really enjoyed the story. We are looking forward to buying more. books. From HS of Ada, Ohio on 1/26/2016 . This book is excellent! This is one that I will read with every niece, nephew, and grandchild. And I may give it to a few adults:) It is highly encouraging and shows how important it is to have God's Word guide us through life. My 9 year old niece is reading it now and is really enjoying it! From THERESA CRAIG of SEAFORD, Delaware on 1/20/2015 . Although this was dubbed 'damaged' I found nothing wrong with it. It is in great shape.